Vamini Sethi at the Mount Aconcagua summit last year. It was difficult to decipher her maze of emotions over a Whatsapp call, two time zones apart. A day after she summited Argentina’s Mount Aconcagua in February this year, Vamini Sethi was poised over the phone. “Climbing has toughened me and made me humble at the same time,” said the 33-year-old corporate leader, who is also a professional mountain biker with several achievements under her belt. 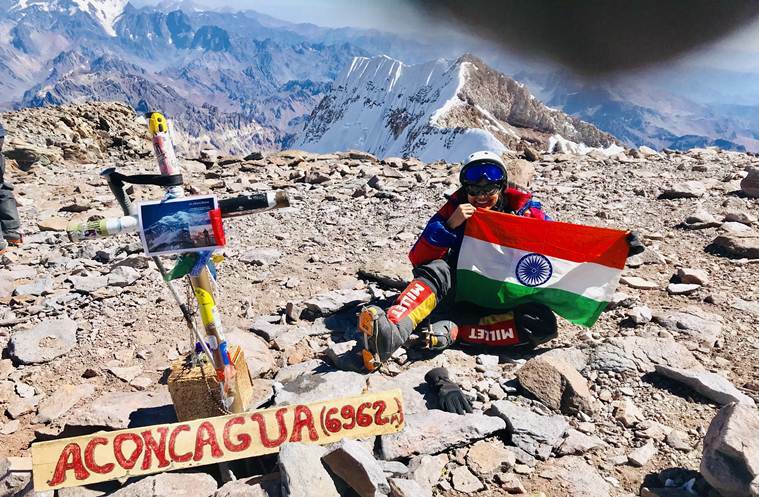 Having set a target of scaling seven mountain peaks across the world, Vamini Sethi has successfully completed three, including Mt Kilimanjaro (5,895 meters) in Africa, Mt Elbrus (5,642 meters) in Russia, and Mt Aconcagua (6,962 meters) in Argentina. Now, the penultimate, Mount Everest, is up next in a few days.